Mountain Bike Suspension: How Does It Work? For many, suspension is what makes a mountain bike a mountain bike. While mountain bike suspension components can be the most rewarding, exciting and expensive components to buy, setup and configuration is the difference between a satisfying, bump gobbling trail monster and an overpriced pogo stick. While the rabbit hole runs deep with all sorts of knobs and doo-dads to turn and flip, we’ll cover the basics so you can get the most out of your newly acquired gear. In this guide, we’ll talk about the components and the basic adjustments available to you. See our Mountain Bike Suspension Setup Guide in order to properly set up your suspension before riding. Forks are also known as front suspension or front shocks. There are many options and brands available and generally speaking, are fairly easy to change out assuming you have a compatible travel length and wheel size. These are integrated into suspension frames and are also known as rear shocks. Size, stroke length and damper tunes are built specifically for different frames. These are much less interchangeable and in some cases are proprietary to the frame and cannot be changed. All mountain bike suspension, whether fork or rear shock have 2 main functions which are performed by the spring and the damper. The spring primarily provides resistance while the damper provides the control of that resistance. There are two types of springs: air and coil. Air springs are more and more common on mountain bikes, from entry level to top end. The advantage with air springs is their light weight and tune-ability. With a shock pump, you can set the air spring resistance to exactly what you’re looking for on the fly. Air spring volume, which further changes the kinematics of the shock, can be adjusted on some models. The downside is that in some cases, they don’t (generally speaking) provide quite the sensitivity and performance of coil springs. Recent technology is closing this gap quickly. Exactly what it sounds like! A metal corkscrew coil is what provides the resistance.The same mechanism that’s in your clicky-pen is also what helps you safely case that gap jump you come up short on. These are usually made from steel, but fancier shocks can have titanium springs as well. The main penalty is weight as coil shocks can be a full pound heavier than their air counterparts and have less adjustment range, but they can provide a trail feeling that’s so sensitive, you may wonder if you have a flat tire. This is where mountain bike suspension talk can get confusing, so hang with us here. You’ll hear a lot of people talk about using compression damping to “firm up” their suspension and while that’s a great way to describe how your suspension may feel, it’s technically not correct. The total resistance force is still being provided by the spring, but compression damping controls the rate at which your suspension will compress. Think of it this way: if you put a triceratops on the saddle of your bike, the amount of compression will be the same, no matter what settings are being used, but the time it takes to get there will change. On trail, this means that compression damping settings control how much travel you will use in any given situation and can make the suspension feel softer or firmer without adjusting the spring rate. Did we lose yet? No? Good, because it gets even more fun. Compression damping can be divided into 2 types: low speed and high speed. Most mountain bike suspension products with compression damping adjustment let you adjust low speed, but use preset values for high-speed compressions. Some value-oriented systems will be entirely pre-set at the factory. 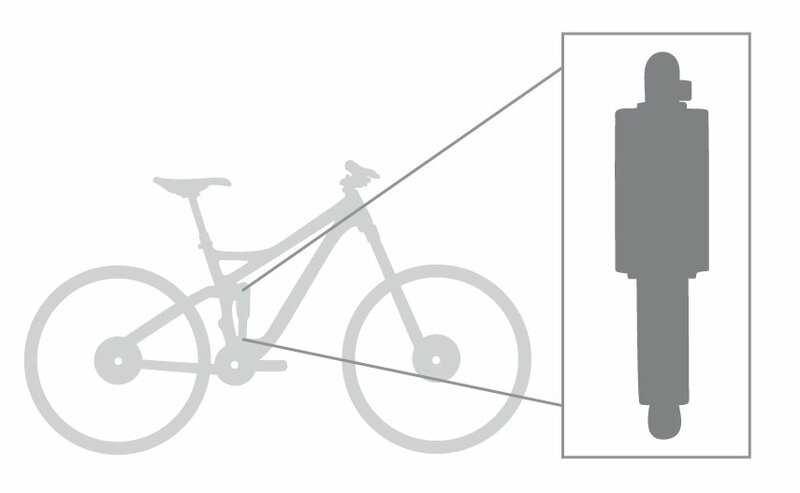 Examples of low speed compression damping adjustment are Climb, Trail, Descend (Fox CTD) and Open, Pedal, Lock (RockShox RC3). If high-speed adjustment is not specifically called out, your shock is adjusting for low-speed compression only. By “low speed” we mean the speed at which the suspension shaft is compressing. Generally speaking low speed compression damping is how mountain bike suspension reacts to pedaling, the rider’s body weight input, cornering, braking and anything else that causes the suspension to compress at a relatively slow rate. As you’d expect, this is how mountain bike suspension compresses in response to high shaft speeds. Examples of where the shaft speed will be high are hard landings, square edged bumps, and any trail input that comes when you’re traveling at high speed. Sometimes this is position sensitive, meaning that it only comes into effect in the end-stroke of your suspension. This also tends to be a higher-end feature that’s pre-set or absent on lower end models. This feature can either be a part of the spring componentry or a part of compression damping. Air springs naturally have progressive spring rate, meaning that the amount of resistance growth isn’t linear. The resistance ramps up as it drives further into the stroke providing a natural bottom out resistance (Imagine the increasing resistance as you pump up a tire). This can be accentuated by reducing the volume of the air chamber, which can be adjusted on some higher-end suspension. High speed compression is sometimes used as a bottom-out control and some suspension products even have specific compression damping features that control the end stroke for bottom out control as well. A well-tuned mountain bike fork or shock will bottom out here and there on a ride, but it should never have that “dropped a t-bone steak on the counter” harsh feeling. It may even go completely unnoticed and bottom out control can be a big part of that. Lastly, in rear suspension, some bottom out control may be built into the bike. Some mountain bike suspension designs adjust their leverage ratio throughout the travel to make for cushy bottom out. Don’t worry about this too much as its integrated into the frame design and isn’t adjustable. Nearly all mountain bike suspension products will have rebound damping. This type of damping controls the rate and speed at which the suspension returns to its full length after having been compressed. Most front and rear mountain bike suspension will have a single adjustment for rebound, however some will have both high and low speed rebound circuits. Just like compression damping, this refers to how quickly the suspension returns to its full length. 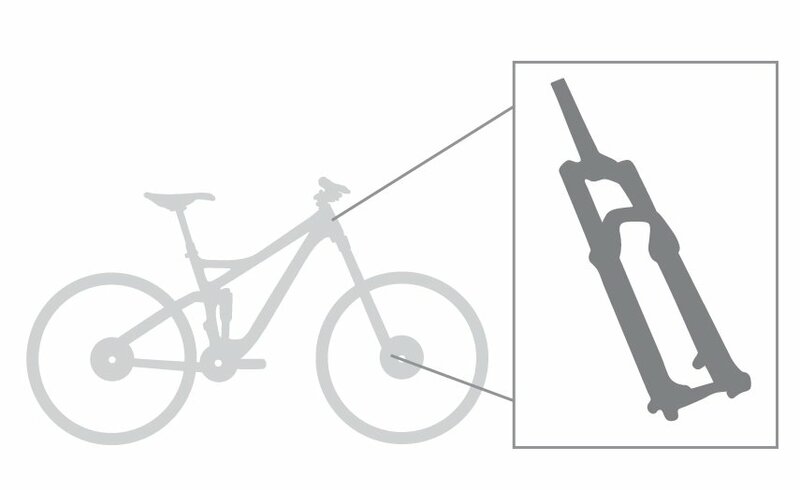 Position sensitive damping is also a feature in higher end models which allows the suspension to return more slowly after a bottom-out or near-bottom out so you don’t get bounced over the handlebars after hard landings.